Mike Epps is like that one friend who irks you because he can do so many things well. The stand-up comedian is a writer, producer, does a little bit of hip-hop — his first comedy album, "Funny Bidness: Da Album," featured Snoop Dogg, Kid Rock, and Slim Thug — and he has enough acting credits to fatigue you while scrolling through IMDB. Epps is a familiar face from the "Friday" and "The Hangover" franchises, and he starred in "Meet The Blacks" as well as in the TV series "Uncle Buck." But before his acting career, Epps made a name for himself with his stand-up comedy. You can find his 2015 hour special, "Don't Take It Personal," on Netflix. Opening the Rochester show is Atlanta's Bruce Bruce. 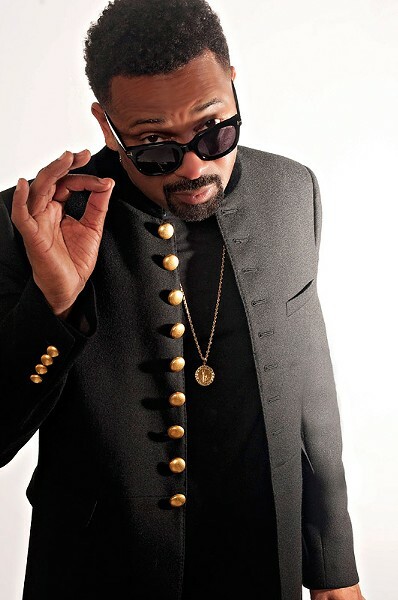 Mike Epps will perform Saturday, October 14, at the Auditorium Theatre (885 East Main Street). 8 p.m. $55-$78. 222-5000; rbtl.org; mikeepps.com.